There are 75 reviews of French Lover / Bois d'Orage. Opens green, bitter and spicy followed by a clear cedar note. The best way to describe it is that is smells of freshly cut woods in a forest on a rainy day. Earthy and moist at first progresses to dry woods with spicy undertones. A nice rooty vetiver envelops the woody heart and transparent clouds of incense straightens the earthy character. Very nice balance of notes and composition, great manly scent. A crisp white oxford shirt in a greenhouse that has opened its windows. French Lover blends lighter notes of brisk, aromatic woods and peppery angelica with the heft of grassy, smoky vetiver and a slug of vegetal, earthy galbanum. It manages to simultaneously convey both clean, confident contours with plenty of breathing room and a dark, rich, if not murky foundation. Decent longevity, excellent for humid days. The fragrance reads as masculine but I like to pair it with minimalist and monochromatic looks. Would be great with pressed slacks and black patent leather stilettos. Top marks for being realistic!! I mean this smells like you just juiced a green leaf and stalk and then rubbed it all over your body. Not my cup of tea but if you are that way inclined then could be ideal. Best perfume ever created. Period. For Me. Unfortunately there was a slight reformulation since the Lauder takeover and it has changed. I'd say it's about 85%-90% the same so it's not a bad reform, but still, the original is a complete masterpiece. Pierre Bourdon will forever hold a place in my heart for creating this. Most people seem to be agreed that French Lover is a misleading epiphet for this creation, and the alternative name of Bois d'Orage or Stormwood suits it much better. It's a nice angelica roots note. If you don't know what angelica roots oil smells like, you do now. There is a rank "methylated spirits" aspect, which may be what Katie Puckrik was referring to when she described her association to her father in his dirty overalls. Luca Turin describes a similar impression. Whether the perfume actually contains pyridine seems unlikely, but it certainly smells like it does. All the same, Bois d'Orage - I can't think of it as French Lover - is a great fragrance, dry, daring, and different. It has more character than its close cousin, Angeliques sous la Pluie, and I like that one well enough, but Bourdon's creation just caps it. The drydown is a woody-amber odour characteristic of materials (timberol, karanal, amber xtreme etc) which are as powerful as they are ubiquitous. This warm and pungent smell with its slightly sweaty aspect may underlie Bourdon's comment that he was aiming for a fragrance which acts as a skin enhancer, amplifying the natural odour of manliness. Here, at last, may be our French Lover. The dosage is restrained, which is fortunate since these materials are very tenacious and in regular use will accumulate on clothing. How curious. I liked the opening few minutes, all wet leaves and such, and thought I might have found something with galbanum that I enjoyed. But then I went to smell my arm again and lo it had transformed into...the smell of dried fish scales, perhaps a few weeks old. Not strong, but not going away any time soon. Unsure where that's coming from--something ammoniac I guess (where's Luca Turin when you need him?). As a result this is not for me. 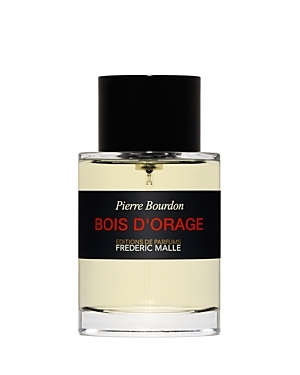 Frederic Malle Bois d'Orage Eau de Parfum 3.4 oz. 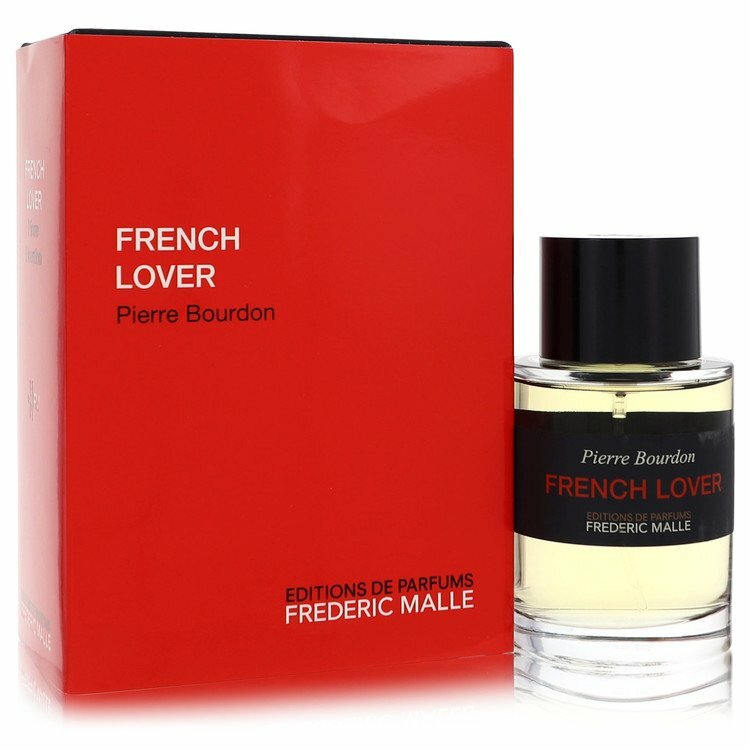 Frederic Malle French Lover 10/.34fl oz EDP Sprayer Authentic Fast Shipping! There are no member images of French Lover / Bois d'Orage yet. Why not be the first?